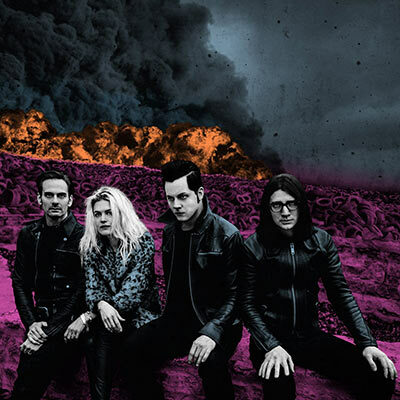 The art-damaged greatness that is The Dead Weather smolders splendidly on Dodge and Burn. Alison Mosshart is one of the most rocking frontwomen of the now, and über-musician Jack White bashes the skins as if he’s the second coming of John Bonham. Opening track “I Feel Love (Every Million Miles)” thunders into being like the badass descendant of Zep’s “Immigrant Song.” “Buzzkill(er)” continues the ride, with buzzing guitar riffs and Mosshart’s sassy intonations. “Three Dollar Hat” reconstitutes “Stagger Lee” and “Frankie and Johnny,” with White taking lead vocals like a tongue-in-cheek, murder-ballad-reciting Nick Cave. “Rough Detective” finds White and Mosshart sleuthing ‘n’ dueting, while “Open Up” gets a clue — and a hook — from Rush. Finally, “Impossible Winner” casts Mosshart as a torch singer ready to burn the house down.